Has your home been received water damage? 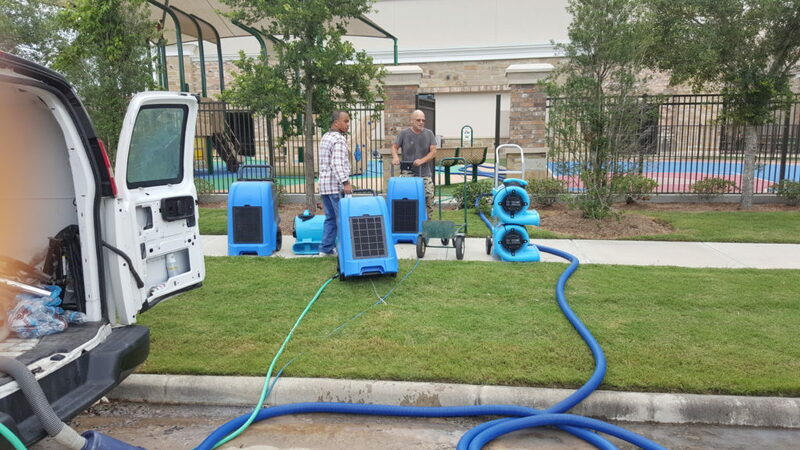 Texans Force specializes in water damage restoration with years of experience and successful projects. For most people, their home is their most valuable possession. Water damage is a costly, and unfortunate event that most homeowners never anticipate. It can happen quickly and without warning. You need a company that responds quickly an water damage situation. Removing water quickly can help minimize damage to your home. Our staff is ready to respond 24/7 for water damage. 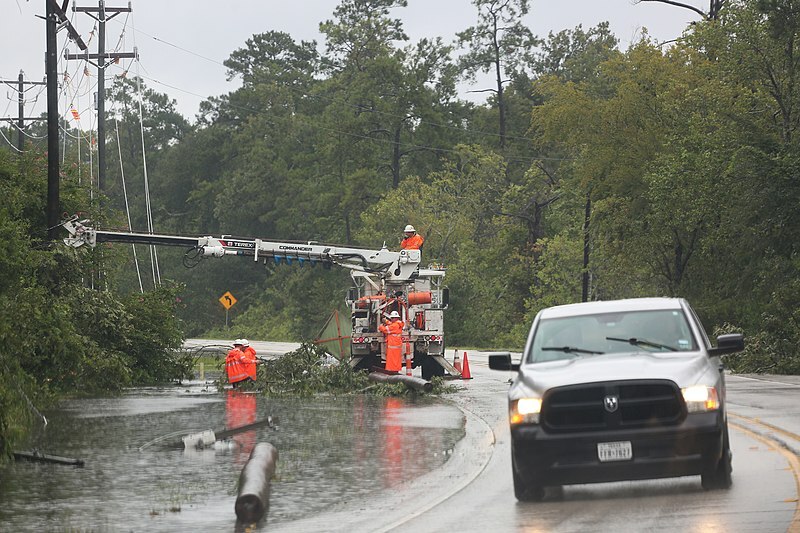 Call us at 1-832-270-1779 if you need emergency service immediately. Stop the source of the water damage as quickly and efficiently as possible. Our team of experts will help identify where the leaks are and halt them immediately to prevent further damage. Determine how much damage was caused by water and possible solutions. Water extraction to prevent mold and additional damage to the home. 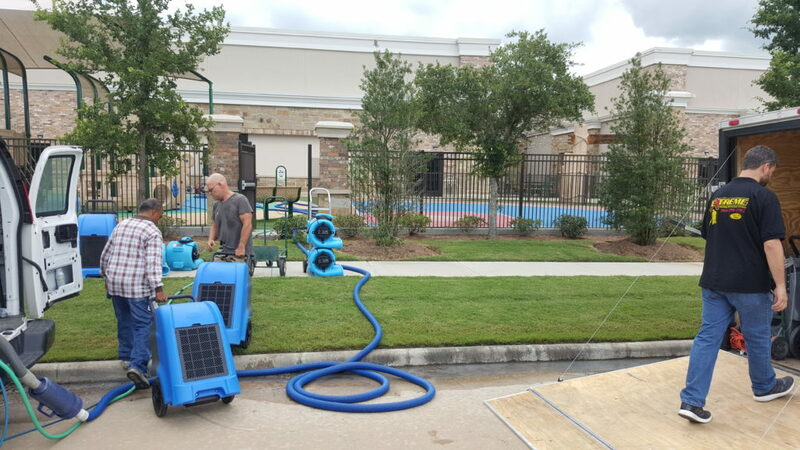 Our team uses the best technology to remove water as quickly as possible. Drying and dehumidifying areas affected by water quickly and thoroughly. Sanitizing and cleaning everything damaged by water to prevent mold. Restoring areas damaged by water to their original conditions. 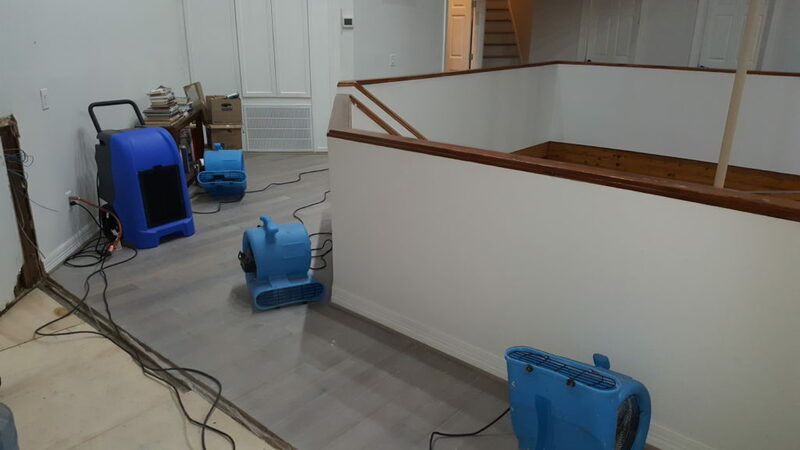 Our team quickly responds, identifies, and stops major water damage to prevent additional damage to home and commercial properties. Extreme weather conditions that Houston is subjected to such as hurricanes, flooding, and heavy rainfall are often a source of water damage. In some cases, such as have flooding, there is not much in the way of prevention for many homeowners. Fast water removal, remediation, and restoration to go a long way towards minimizing damage and costs. Malfunctions by appliances such as a refrigerator, washer, water heater, dishwasher, or any equipment that uses water. Since most homeowners are aware when these problems arise, damage is often minimal if dealt with quickly. We recommend cleaning up any standing water to prevent damage to wood floors and possible mold growth. Major plumbing issues such as a burst pipe can cause fast and significant water damage to your home. Turning off the water to your home and contacting an expert can greatly reduce both damage and cost to your home from water damage. Roof leaks that are a result of heavy rain and extreme weather conditions can often cause water damage in homes. Minor leaks can stay relatively unknown for awhile causing damage over time as water seems into houses. 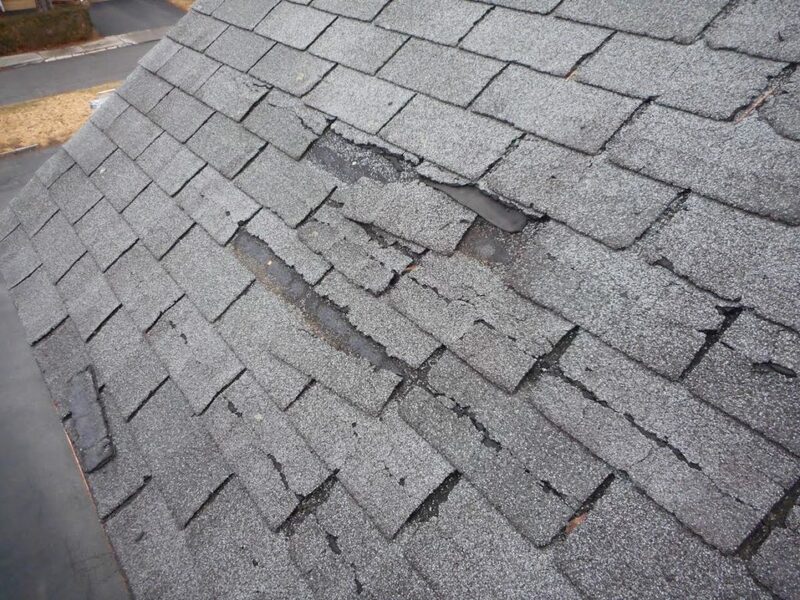 Regular roofing repair and maintenance can save you money by preventing water damage. The most important word when it comes to water removal is “prompt.” The water needs to be removed quickly and in a through manner. Home services with specialized equipment can remove large quantities of water in a prompt manner. The process also includes removing items from the home so to minimize damage. Examples include furniture, carpets and rugs that can be picked up, and anything else that can be carried out of the home so it does not sit in water. Once the water is gone, the home must be dried out. Whether it is one room or the whole house, it needs to be dried and quickly. Home service companies have industrial equipment such as large fans that blow hot air to speed up the drying process. The quicker your home is dried, the less damage happens. Dealing with humidity is also important. The average person probably does not appreciate the problem of humid air until they enter a home that has been flooded. 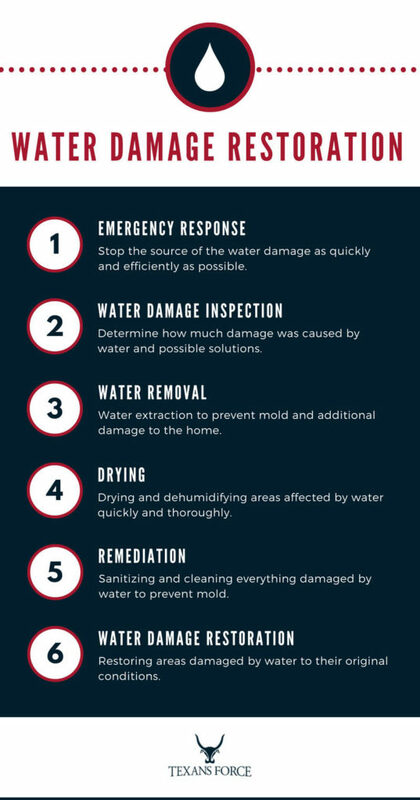 Remediation must take place before you can begin the process of repairing and restoring your home from water damage. You’ll want to make sure everything is clean and property sanitized to prevent mold. 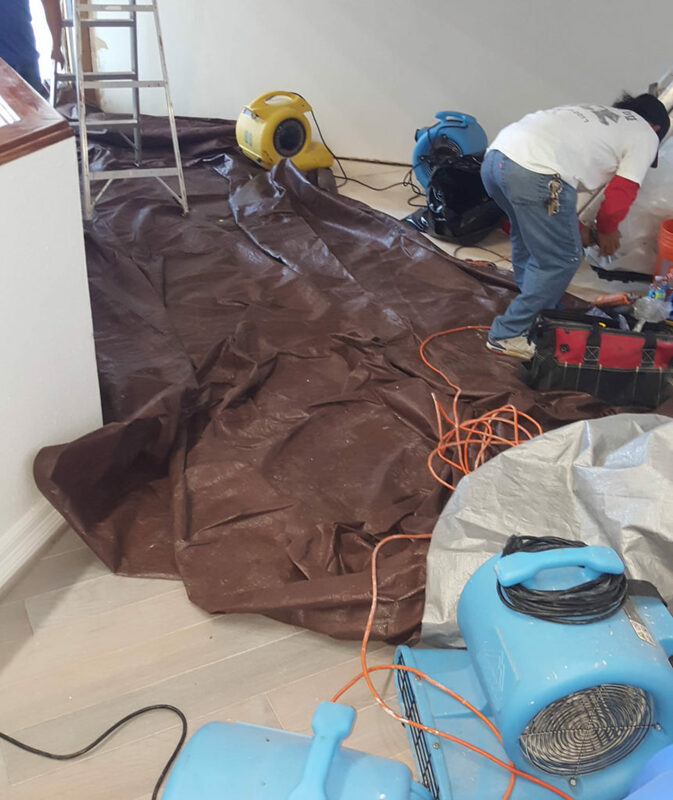 Having a professional team sanitize your property after incurring water damage will help you ensure thorough cleaning. This will be important to do before you begin replacing damaged carpet, flooring, walls and bringing back furniture into your home. Once all previous steps are done, you’ll be ready to start restoring your home to it’s original condition. 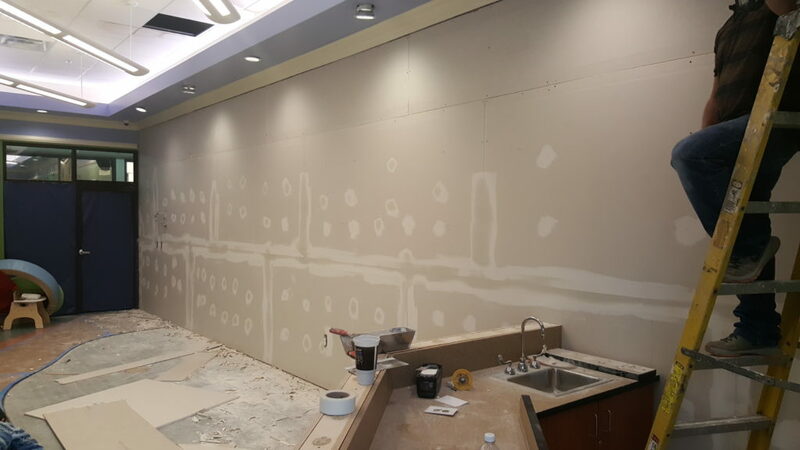 This is the final step of water damage restoration and will complete the process of recovery. We’ll help you repair and replace anything that has been severely damaged. Walls are often damaged by water with the insulation inside soaking up much of the liquids. We’ll do our best to salvage as much as possible to help save costs but may have to replace some parts to prevent mold from building up in the future. Most flooring and carpets will have to be replaced in the event of heavy water damage such as flooding. Minor water damage from leaked appliances can sometimes be fixed with proper cleaning and sanitizing. Our professionals can help you determine what options are available to return your carpet to it’s original condition. Insulation will generally need to be replaced since they soak up water so quickly. Leaving any damaged insulation behind can create a major mold problem in the future. Our professionals will help you identify damaged insulation and quickly replace it.